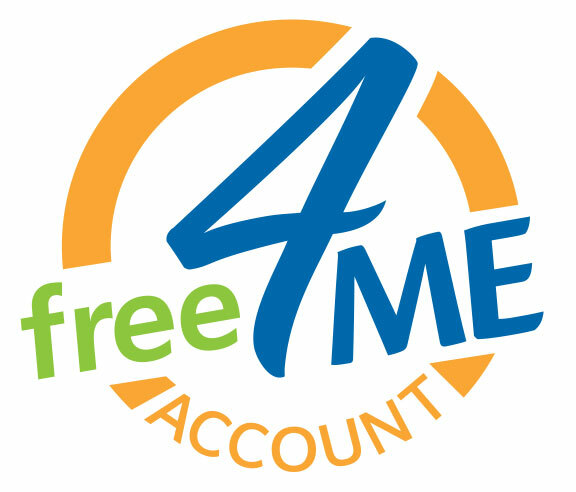 The free4ME Checking Account is the ultimate account for 18 to 25-year-olds. With all the features you need and some great extra perks. Our gift to you when your account has been open for 90 days! Twice per year*, you can call and get a service fee reversed. Because nobody wants to pay a monthly or per-check fee. Every account holder gets a free debit/check card. Use any of our SURF ATM network cash machines for free! Pay bills and transfer money in your pjs - no standing in line! View your account transactions and information securely, online-no paper! You won't be required to maintain a minimum balance to enjoy all the "freeness" of this account! * Yearly is defined as January to December in a given calendar year.